I believe firmly you do not need training variety in order to make incredible progress. Stick with a steady diet of the basics and you are all set. 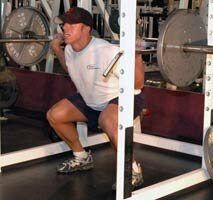 Get really good at the skill of a few exercises and you will be way ahead of a trainee that is mediocre at a variety of drills. Truth be told, the only time when trainees get bored with the basics is when they are not making progress. I have never heard anyone say, "Man I am sick of getting stronger at every workout. 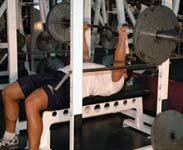 Every time I hit the bench press, I am putting up more weight and reps. I am sick of getting stronger! I need some variety." I have never heard anyone say, "I am sick of losing fat every week and having more energy than I know what to do with. Screw progress, I need some variety." Maybe such scenes would occur on fantasy island where "little people" like to shout out, "The plane, the plane" but not in the world that you and I live in. Nine times out of ten, people want training variety because they are not making progress. One of the problems with training variety is it can give the illusion that you are making progress. Pick an exercise that you have never done before and you will not be good at it. After a few sessions, your CNS will be firing more effectively and you will be get better at the exercise. Central Nervous System: The human central nervous system consists of the brain and spinal cord. These lie in the midline of the body and are protected by the skull and vertebrae respectively. However, did you get stronger? If you go back to an exercise that you had a plateau with and are stronger the answer is yes. If not the answer is no. Most likely the answer will be no. People that need variety at every workout are never going to be people that are exceptional at the skill of strength. Do football players play baseball for variety? Do basketball players, go bowling for several months for variety? Of course not. Why not? They would be all over the place and would never get good at the actual skill. Professional athletes stick to the basics and work on refining everything over and over again. This is what makes them professionals. Realizing that the world is not perfect and that many trainees need variety, the "54321" program is just the ticket for a combination of sticking to the basics and applying enough variety to keep things interesting. While the "54321" program focuses on the basic exercises that provide the most bang for the buck (the 20% club as discussed in the last newsletter) the program changes every week which allows stimulus addicted trainees enough variety to stay the course. This is a great strength training program or a great size and strength program if you consume enough calories. Take 90 second breaks in between each set. Do a set of A-1, wait 90 seconds and do a set of A-2. Wait another 90 seconds and do A-1 again. Continue until you have completed five sets per exercise. Take 90 second breaks in between each set. Do a set of B-1, wait 90 seconds and do a set of A-2. Wait another 90 seconds and do B-2 again. Continue until you have completed five sets per exercise. Take 90-second breaks in between each set. Do a set of A-1, wait 90 seconds and do a set of A-2. Wait another 90 seconds and do A-1 again. Continue until you have completed five sets per exercise. Take 90-second breaks in between each set. Do a set of B-1, wait 90 seconds and do a set of B-2. Wait another 90 seconds and do B-1 again. Continue until you have completed five sets per exercise. Use the same weight on all five sets. The fifth set should be hard. However, you should be able to complete the reps without training to failure. If you cannot get all five sets with the same weight, stay at the weight for the following week. 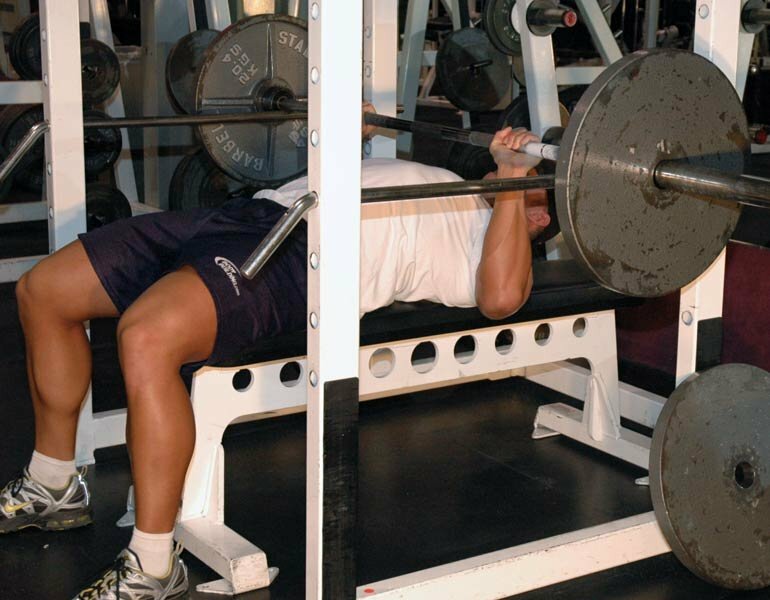 Thus, you will be doing less reps with the same weight and will increase the likelihood of success. Feel free to do some moderate cardio workouts on Tuesday and Thursday. Take the weekends off. Do not add any other exercises to the workout. Do not worry about your core. It is getting hit with every exercise. What about fat loss? Fat loss is 80% diet so put the fork down and practice pushing yourself away from the table more often. I do not want to get too big. Do you worry about making too much money as well? Worrying about getting too big is the least of your worries. It is not something that happens by accident. Need help with program design for your specific goals? Click Here.